Facebook doesn’t slow down. They just keep innovating and pushing new products and features. That’s great news for marketers, and it gives me a lot to talk about! You’ve probably noticed that more and more of my episodes have been solo lately. There’s a reason for that. I’ll eventually go back to having guests again, but I talk about why I’ve chosen to go this route for now. That doesn’t mean you can’t be my guest! I answered two awesome questions this week from listeners Barry and Cathy. Barry: Barry asked whether I preferred CPM or Optimized CPM, and whether it mattered which I used when promoting a post or a product. Cathy: Cathy has a new client with 7,000 Fans, but no engagement, mostly due to sporadic posting. With the holiday season coming up, she wants to improve engagement and start focusing more on sales. How can she get a boost through Facebook ads? How to Submit Your Own Question: You can be featured on the Pubcast, too! 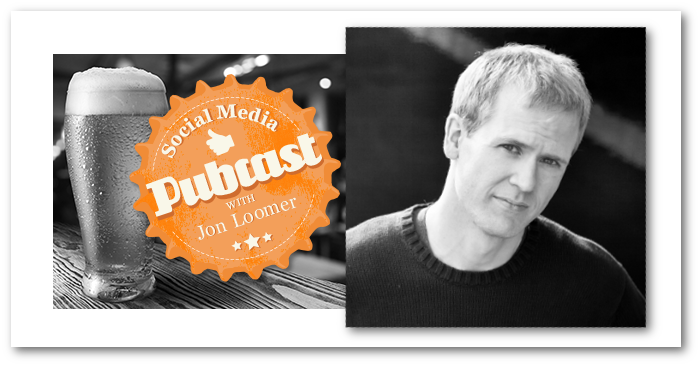 Just go to jonloomer.com/awesome for details. I just returned from a “guys vacation” and it was some much needed time off for me. It allowed me to get away completely, but it also helped me realize some things about my business. Beyond the positive realization that I still make money when I’m away, I also started to see just how many messages I get every day. And it got me to thinking about what I do and don’t respond to and why. It’s been about three months since FB Marketing Advanced University: Power Editor was released, so it’s about time to release a new course. This time I’ll be focusing on Insights! I’m aiming for a pre-pay launch next week. Stay tuned! This is a HUGE development! Facebook is folding a website retargeting feature into Custom Audiences. This will allow you to target anyone who has visited your website in a Facebook ad. I talk about the similarities and differences compared to FBX. I also talk about three opportunities for marketers using this feature. I also mention test driving FBX by using two different partners. Use either of the links below to get $60+ in free ads! Facebook accidentally gave me a preview into a new feature (I think). Lots of possibilities here! Facebook is putting a greater emphasis on providing ratings and reviews for places. I’ve heard that some users have had this for a while, but it’s new to me. If you’re using Power Editor (you should be! ), you need to be using this feature. Generating a Saved Target Group from an ad makes it much easier! This is another change coming, but it’s not clear yet what it will look like. I’ve always thought that the hashtag precise interests and broad categories were pretty much the same thing. Guess the merger, then, would make sense! Facebook has streamlined location targeting within Power Editor, which also now allows you to target multiple cities, states, regions and countries within the same ad. Good change!